Biofuels Retrospective: What Lessons Apply to Future Due Diligence? And now for something completely different… Last week I gave a presentation at Renewable Energy World 2012 as a member of a panel entitled “Biomass Due Diligence: How Your Project Can Learn from Failure to Better Ensure Success.” I provided the following retrospective on the biofuels experience and a few recommendations on improving due diligence. 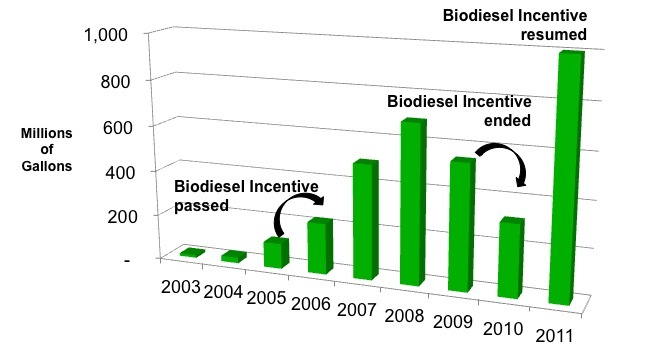 In mid-2006 87 biodiesel plants were operating (33 since the beginning of the year) and 77 were under construction. 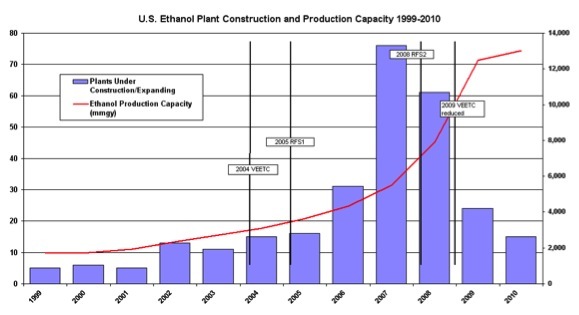 Similar activity was happening in ethanol. E85 was selling at 40 cents a gallon less than regular unleaded, and B20 was selling at par with diesel. Interest in new plant construction (and investment) was so high that plant process providers and E&C firms had over a year backlog – some 2 years. 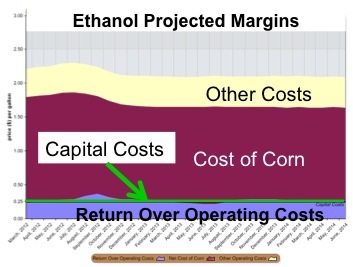 A year later, ethanol margins dropped, in part because by the end of the year there was more ethanol produced than there was distribution capacity to handle it. 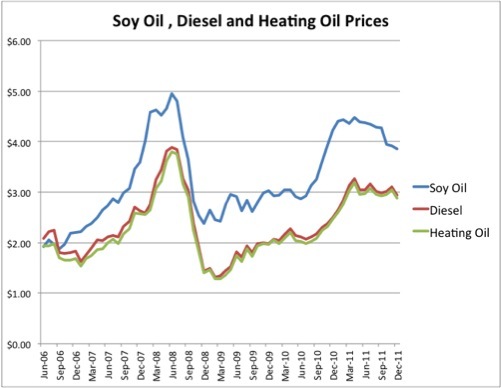 Early in 2007, the relationship between feedstock costs and sale prices for biodiesel flipped to upside down even with federal subsidies. Before we look at what happened, a basic understanding of cost/revenue relationship for this business is important. Note that 83% of the Cost of Goods Sold and 100% of the revenue are subject to both commodity volatility and government subsidy. The only real control most producers had was over operating costs and some degree of risk mitigation through hedging. These do not include state programs, some of which were more lucrative than federal. The impact of subsidies is readily apparent in the following charts. Once various agricultural commodities were impacted by subsidies, both in the crops themselves and from anticipated biofuel related demand, a number of “unintended consequences’ occurred. 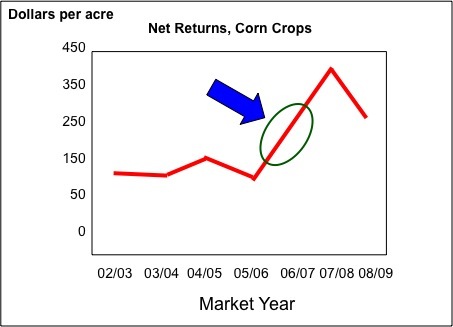 When farmers saw these kind of returns in corn, they shifted from soy beans to corn in the 2007 planting season. 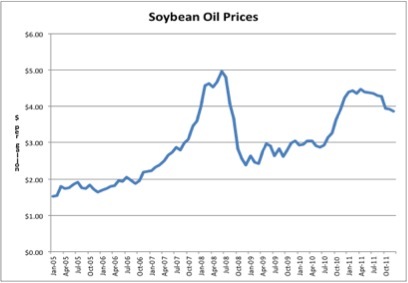 The reduction in acreage devoted to soy beans, the anticipated explosive demand from biodiesel and an increase in exports to China resulted in soy oil prices shooting up, peaking mid-year 2008. And by the way, so much glycerin was being produced that its market became so depressed that it began to be regarded as a waste with disposal costs, rather than a revenue stream. 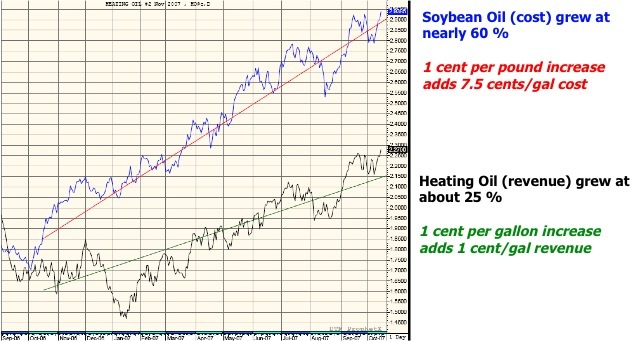 Referring back to the cost/revenue equation for biodiesel: when soy oil prices grew much faster than heating oil (the futures commodity used to hedge diesel fuel), once costs exceeded revenues, the differential just got worse. As can be seen below, except for a very brief moment in 3Q08, costs have exceeded revenue from 2006 to present. Ethanol production, however, continues, and even with the loss of subsidies, at pretty much breakeven. The heady days of huge margins are over, but production plants can continue to operate. Government policy risk – assume overnight loss of support! Technology risk – might your economics be eclipsed? Clearly assesses all project management competency limitations – do you have the depth to fully appreciate farming, commodity trading, wholesale fuels blending and distribution – and curb your appetite to what you know! 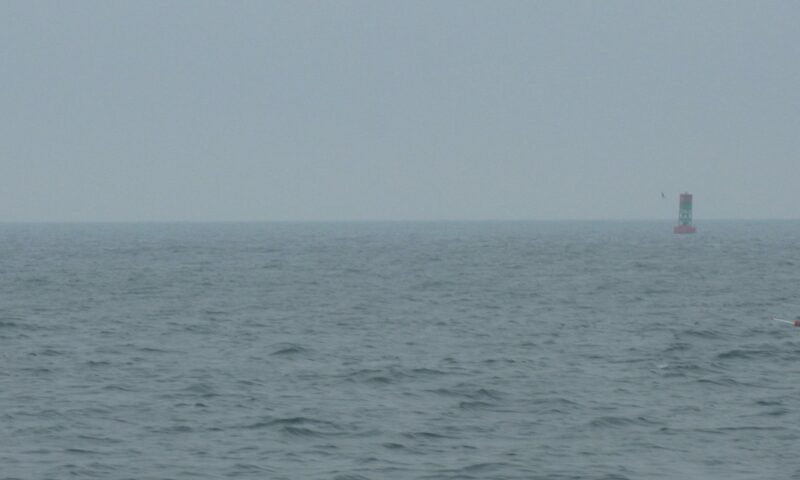 In addition, if the project is buying feedstock or selling product, hire a strong hedging consultant and amass sufficient working capital to maximize hedging on the expense and sales sides. Consider new feedstocks: micro & macroalgae, jatropha, carinata, cellulosic, switchgrass, etc. 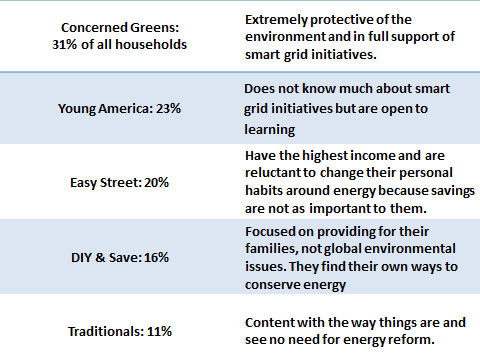 Smart Grid 2012 Predictions: Something Missing? 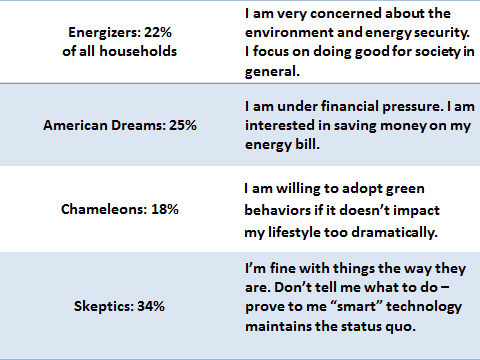 The Consumers Electronics Association found very similar results in its survey last year. 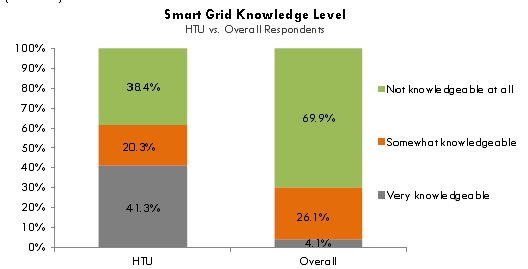 So it’s very clear that end users need education, and that without that education greater resistance to smart grid implementation is likely. 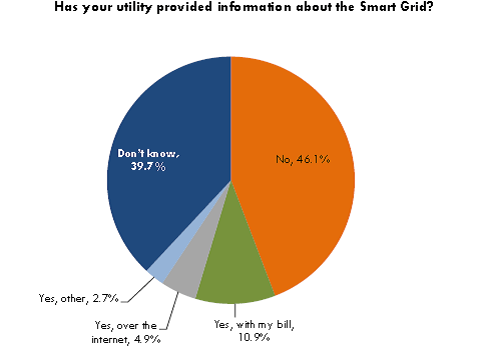 Customer engagement does not seem to be high (or at least as high as it should be) on the list of priorities in smart grid implementation. Some utility and vendor managers believe that customers don’t care, and that biases their approach. Failure to make the compelling argument guarantees customer pushback. One size does not fit all when it comes to communicating with customers and segmentation is important. So what do we conclude from all of this? My opinion is that unless careful adoption of customer engagement approaches become a trend for 2012, more customer, and by extension, more regulatory pushback will occur. 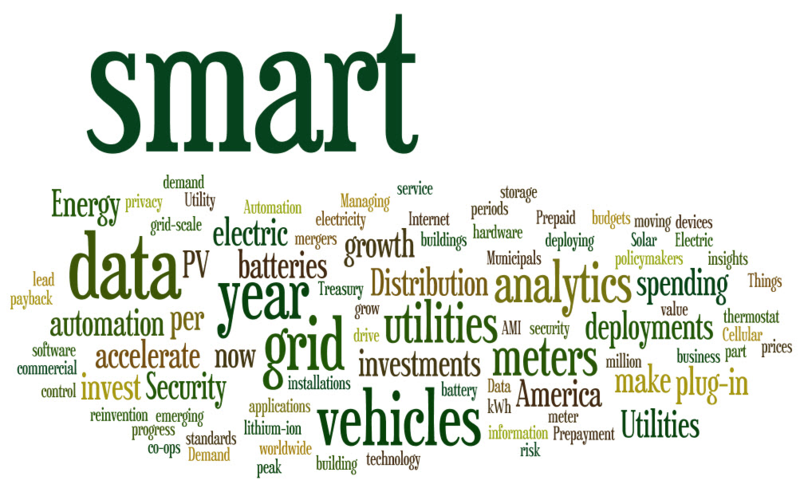 In addition, since the smart grid industry is plagued by a variety of confusing messages to consumers, and since “smart meters” have become synonymous with “smart grid” because of these confusing messages, problems with smart meter programs will negatively impact other smart grid programs.